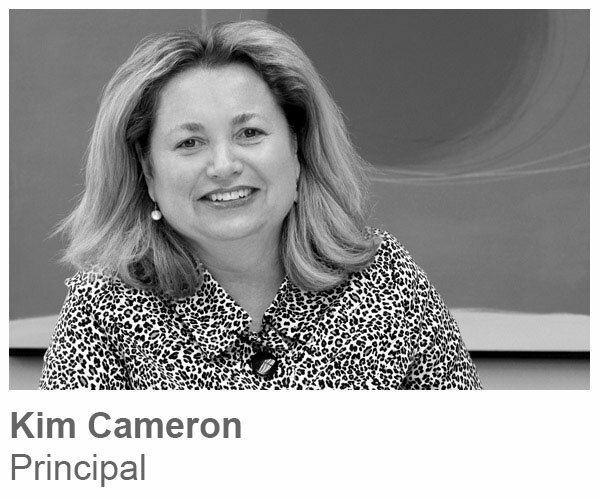 Kim has worked as a project manager and art consultant for over 20 years. She knows that every client has a unique story, specific style request and budget. 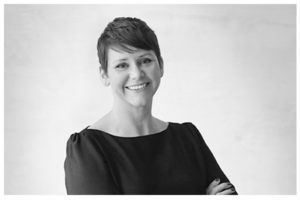 Kim’s experience with thousands of projects, both regionally and nationally, has given her the background to be a successful art advisor. 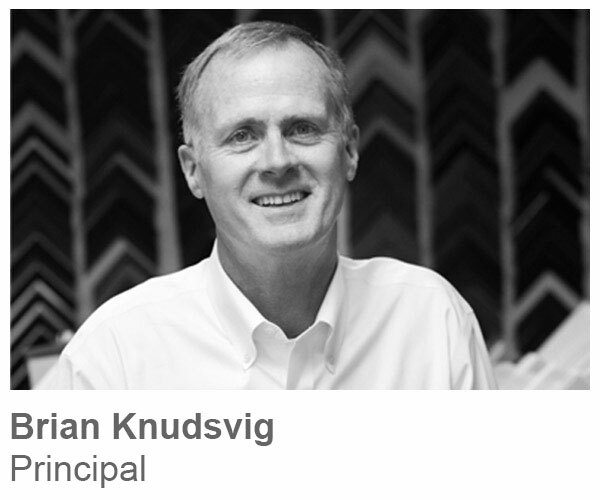 Founding Art Partners Group in 2006 has expanded Kim’s ability to add and improve client services, create a network of artists and publishers, and partner with suppliers who value quality and cost-effective solutions. Kim holds a BA in Art History from the University of Minnesota. Brian co-founded Art Partners Group in 2006 with the goal of helping clients with their complete interior visual experience. 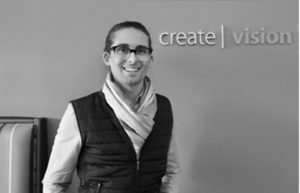 He appreciates the uniqueness and challenges of every project and finding new ways to create the right solution for each client. 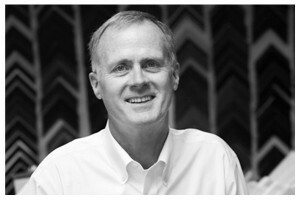 Brian has been involved with various aspects of commercial real estate, project management and design for over 20 years. He holds a BA in Business from the University of Iowa. 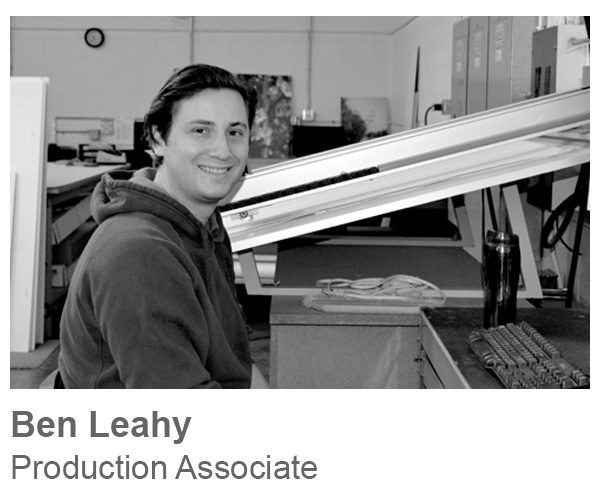 Bob is an experienced Environmental Graphic Artist, Project Manager and Production Associate. His design solutions incorporate the client’s specific branding requirements with their vision for the uniqueness of the final solution. Bob takes pride in coordinating the design with dynamic materials and methodologies while balancing the required level of flexibility. 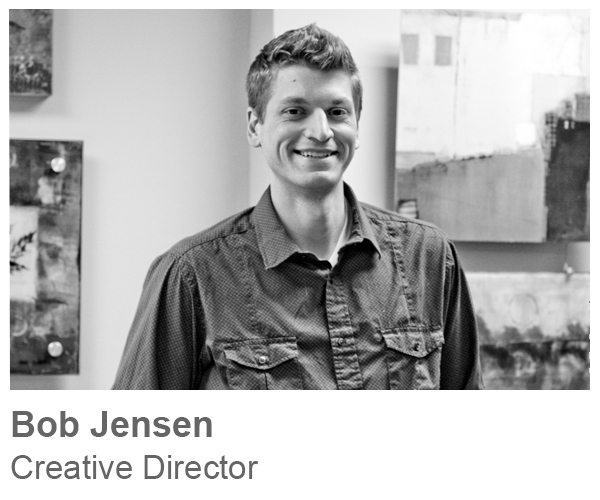 Bob holds a BA in Art and Graphic Design from Mount Mercy College. 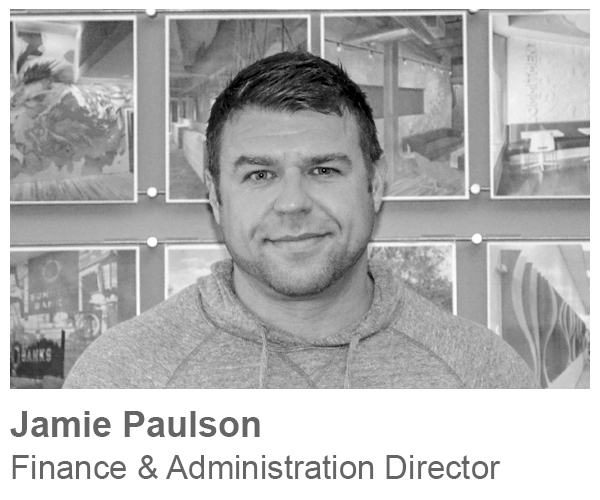 Jamie started his career in public accounting and transitioned into private industry working in energy management and manufacturing. 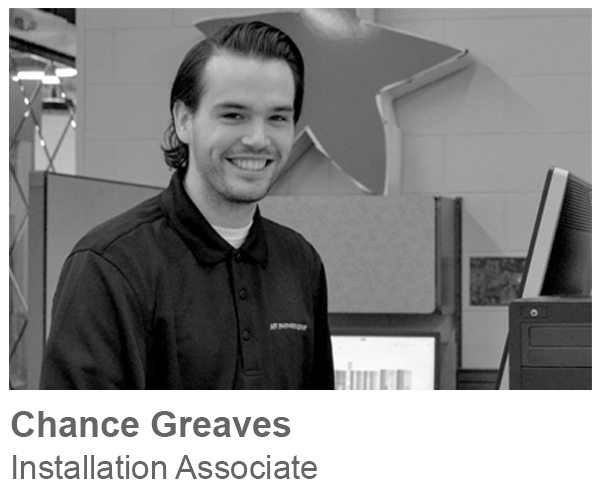 He enjoys managing financials, creating efficiencies and making process improvements to ensure operations run efficiently and so his teammates and coworkers are able to perform at their finest. 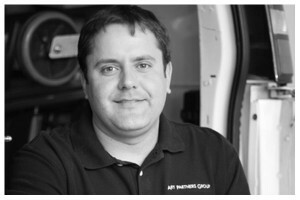 Jamie holds a B.A in Business Administration with a major in Accounting from the University of St. Thomas. 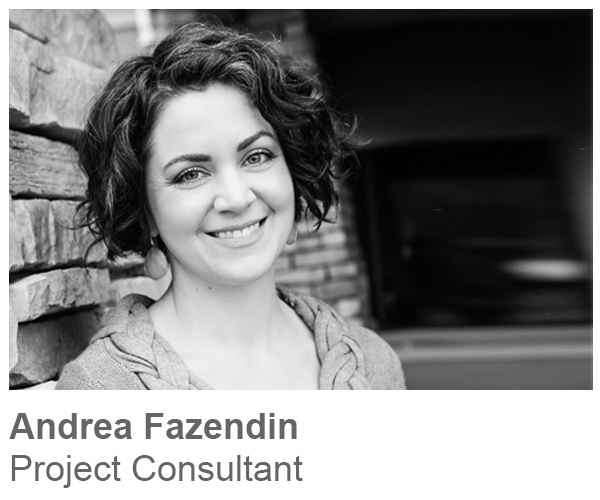 Andrea provides clients with a unique blend of ideas for artwork and space branding in commercial environments. 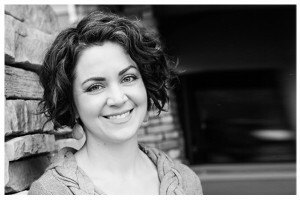 Her experience includes artwork project management, marketing and branding. She loves consulting with clients to determine the best way to tell their story in their space. Andrea holds a BFA in Fine Arts from the University of Montana and is an exhibiting artist. 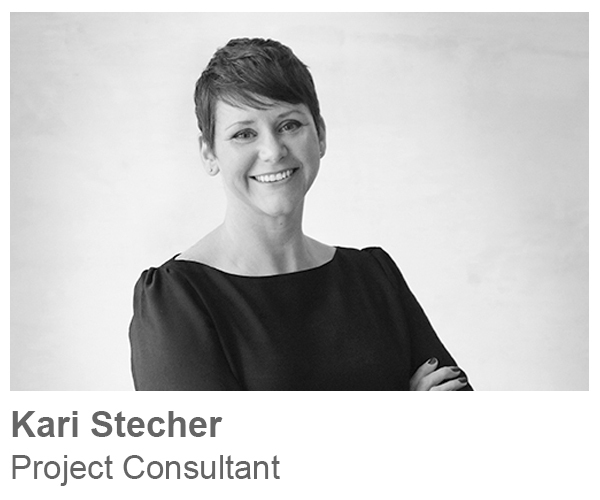 Kari’s background in environmental graphic design and project management brings a unique perspective to any problem. Specifically, she has extensive experience assisting architects, interior designers and public artists. She most enjoys collaborating with clients to help achieve their vision. 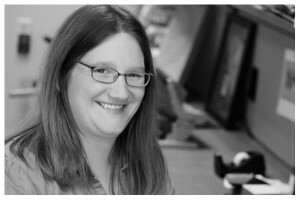 Kari holds a BA in Graphic Design from Grand View University in Des Moines, IA. 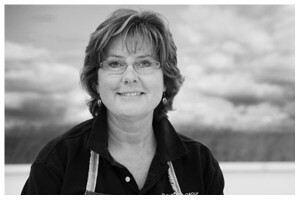 Janie has worked in art consulting and custom framing since 2002. She has experience in many areas of the art world including custom framing in a high-production shop, retail frame design and gallery sales. 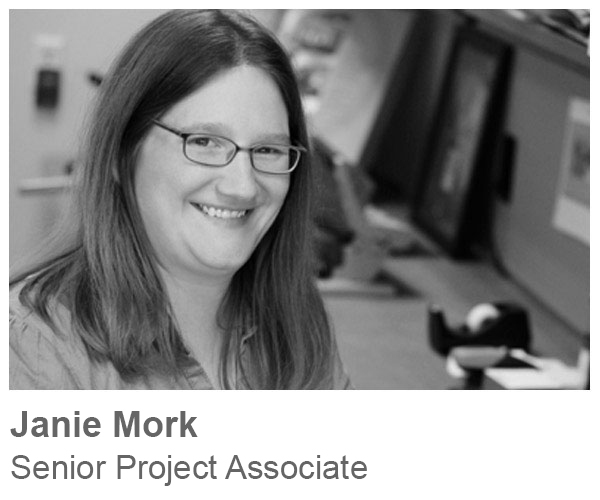 Janie assists our staff with image resourcing, design and project management. Janie holds a BA in Studio Art from the University of Minnesota Morris and showcases her own artwork in galleries and at art fairs. 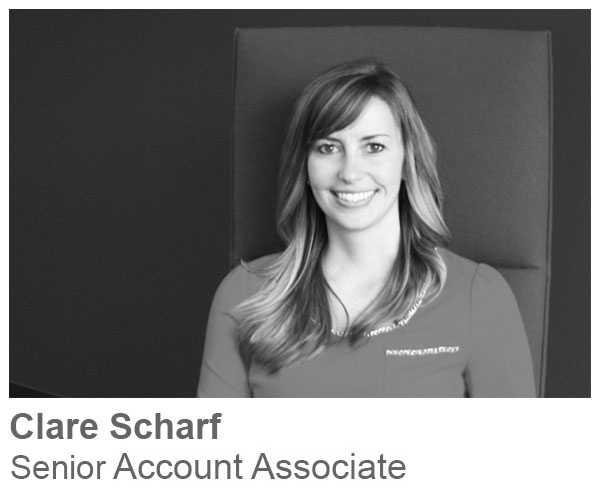 Clare has a diverse background spanning interior design firms, retail, and visual merchandising. She loves seeing spaces transform throughout the design process – from an initial meeting to post-installation. Clare holds a BS in Interior Design from the University of Wisconsin, Madison. 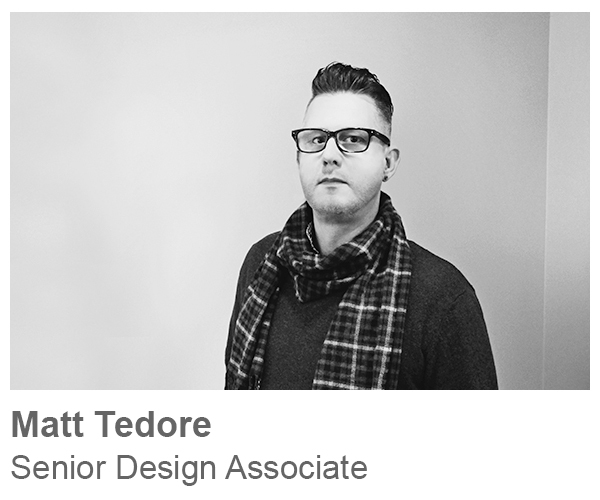 Matt is a creative left and right brain thinker with a passion for dynamic environments. He brings more than twenty years of graphic design experience and ad agency branding experience to his projects. 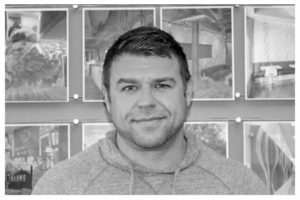 He is a graduate of Hawkeye Community College in Waterloo, Iowa with a degree in graphic design and enjoys painting as a hobby. Joe’s experience in the sign industry, coupled with his passion for architecture and branding make his work in production and as an environmental graphic designer an excellent fit. 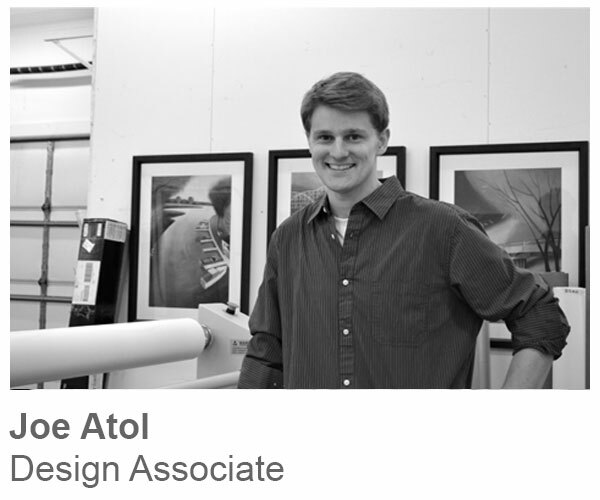 Joe holds a BFA in Graphic Design from the University of Minnesota, Duluth. 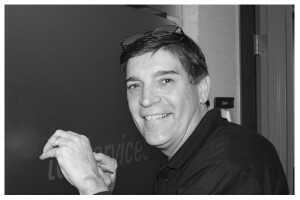 Matthew has a background in Interior and Exterior Signage. Some of his favorite podcasts are 99% Invisible and The Adventure Zone. He has a B.A. in Architecture from the University of California, Berkeley. Micki has a diverse background with experience in marketing, project management, retail, design and photo editing. 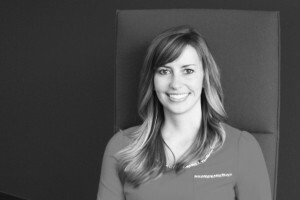 She enjoys helping clients turn their design concepts and ideas into reality. 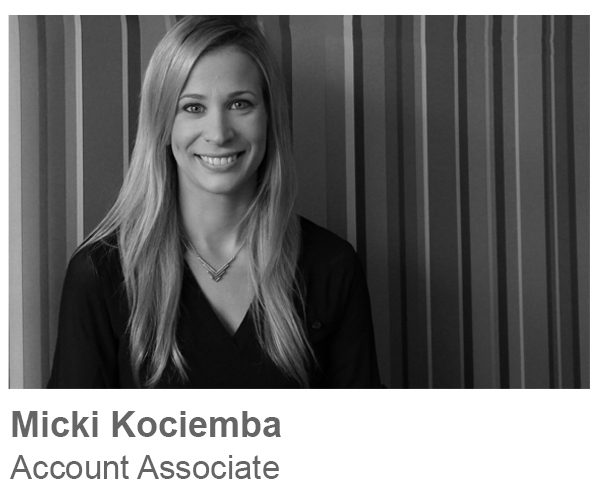 Micki holds a BA in Graphic Design and Communication with an emphasis in Public Relations from Concordia College in Moorhead, MN. 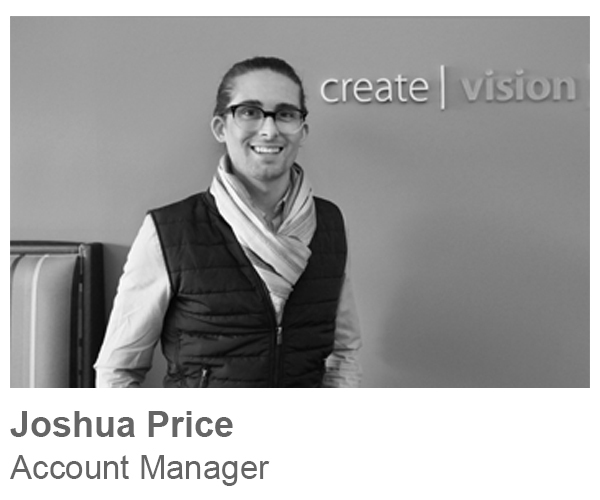 Joshua’s diverse background in design build architecture, technical theatre, and abstract art inform his ability to work with clients to mold and manipulate a space to create a desired experience. 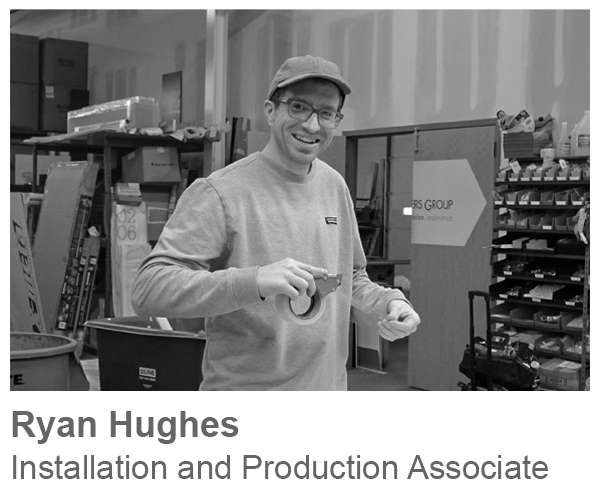 He enjoys the entire design process, beginning with the initial client meeting and continuing beyond installation. 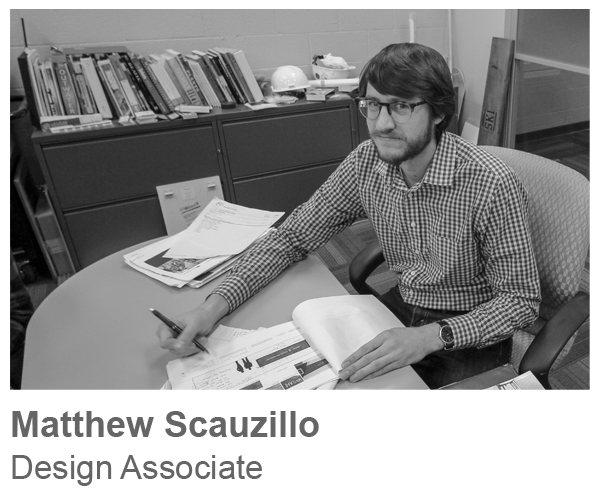 Ultimately, he loves assisting clients to fully imagine and actualize their space’s potential. 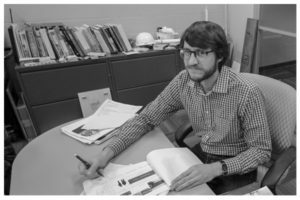 Joshua holds a BS in Architecture from Ball State University with a focus study in Sustainability. 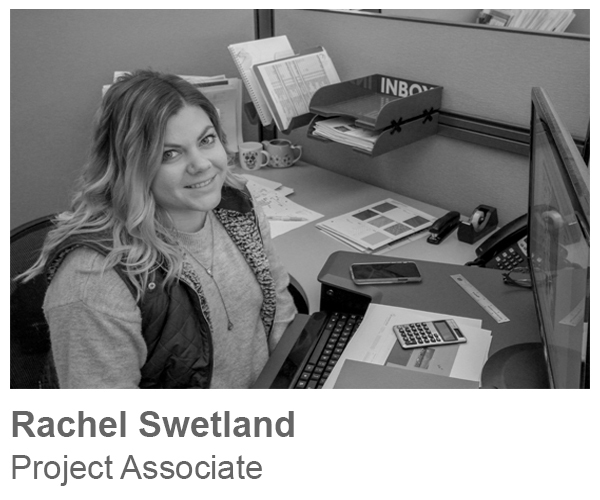 Rachel has a diverse design background with experience as a gallery coordinator and history of working in the building materials industry. 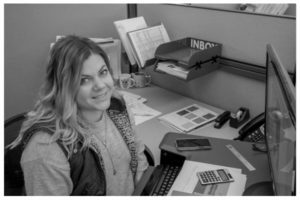 Her attention to detail and ability to recognize the customers needs ensure that she can create a design to fit any aesthetic, budget, or space. 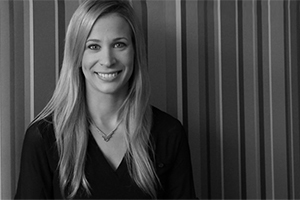 Rachel holds an AS degree in Interior Design from The Art Institutes International Minnesota. 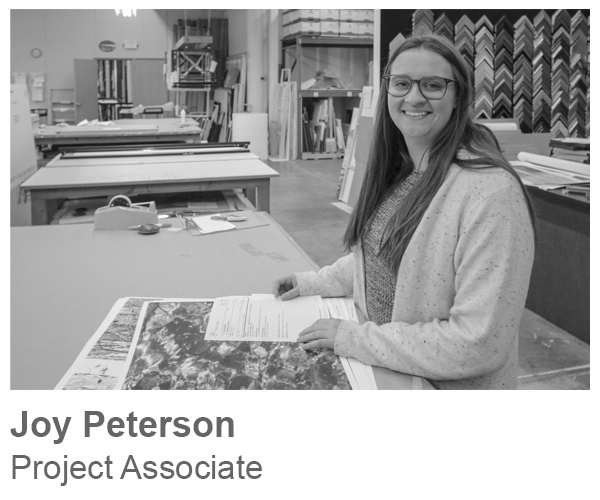 Joy has an interdisciplinary design background and experience in the sign industry. She is a painter in her free time. She received her BDA in Architectural Design with a minor in Product Design from the University of Minnesota. 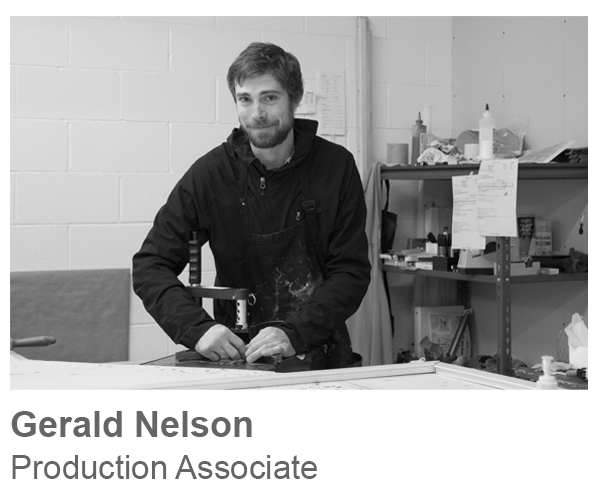 Neil’s years of experience includes management of all facets of custom framing production including design, sales and installation of both commercial and retail accounts. 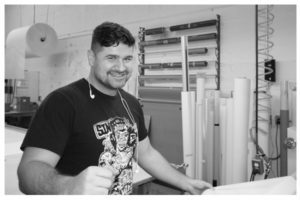 Neil is particularly interested in quality assurance and end product presentation so a client’s expectations are fully met. 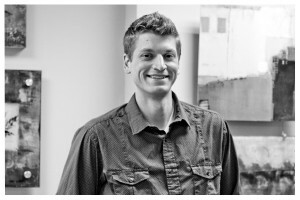 Neil is an active artist and holds a BFA in Painting from the University of Minnesota Duluth. 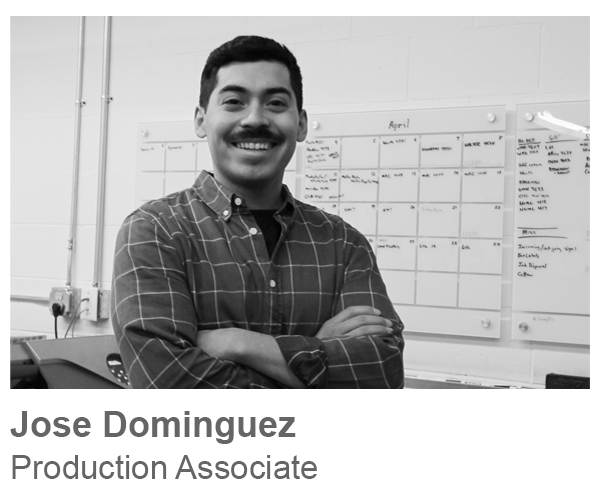 Jose received a BA in Graphic Design and Studio Art while attending Winona State University. His approach to creative problem solving is based on a cross-pollination of art and design principles. 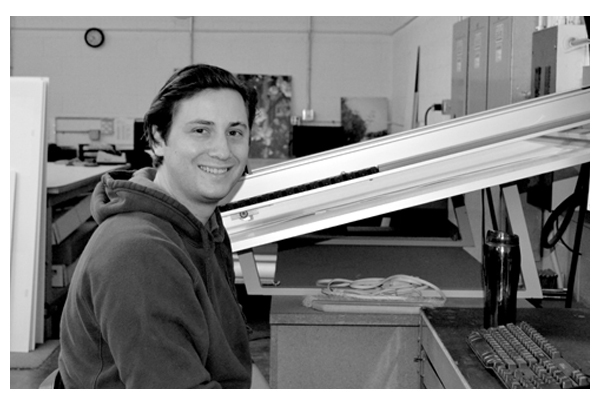 He has experience in gallery installation and is currently active in pursuing his artistic endeavors. 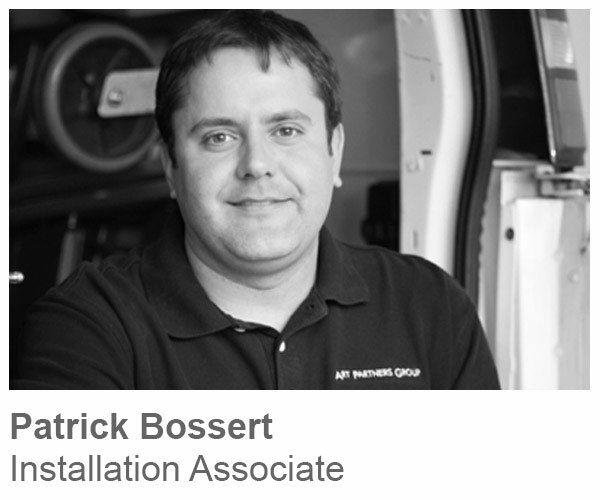 Patrick started his career in 1996 as a custom framer before moving into installations. His background in framing serves our clients well in the field. 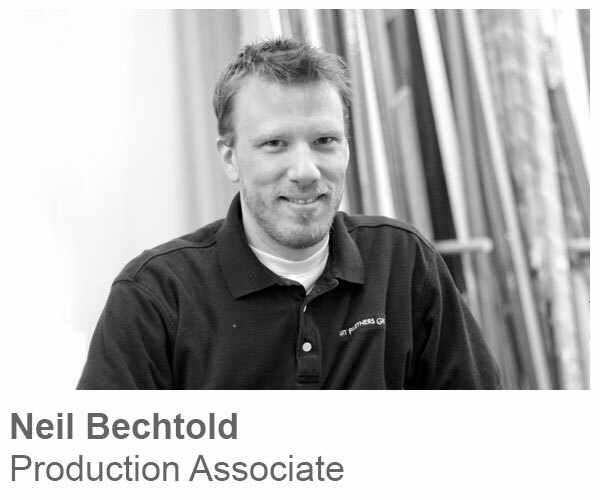 He has the experience to advise Art Partners Group and our clients on the best hardware and hanging methods for all types of installations. 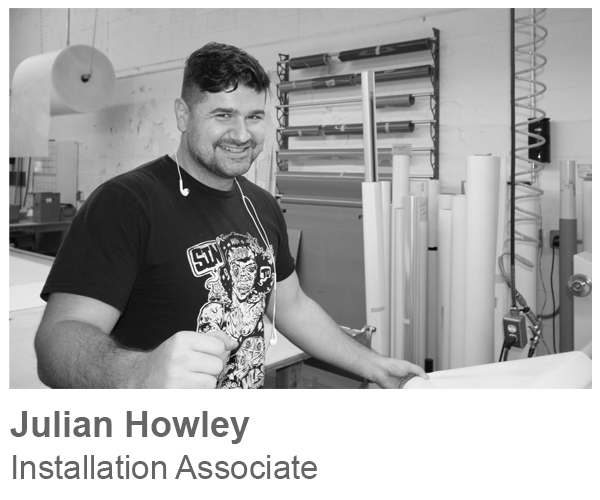 In addition to his art hanging skills, he is a master at specialty installations including cable systems, displays and history walls. 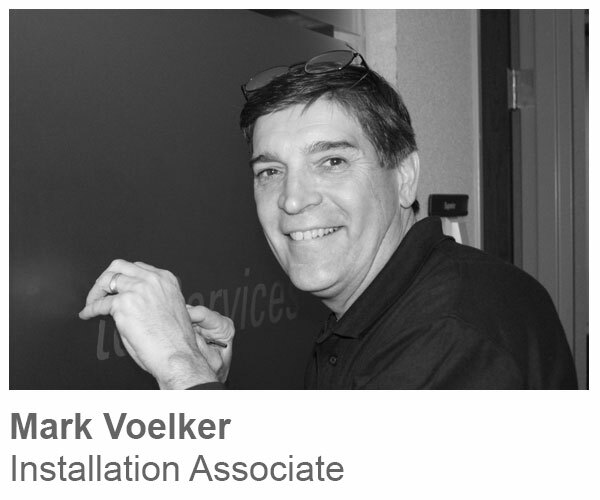 Mark has been in the commercial graphics industry since 1982 specializing in custom displays, production, design and graphic installation. 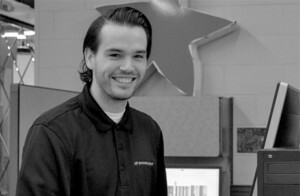 Mark can help you evaluate your display needs for the best impact, flexibility, durability and budget. Mark holds a B.S. in Art from St. Cloud State University. 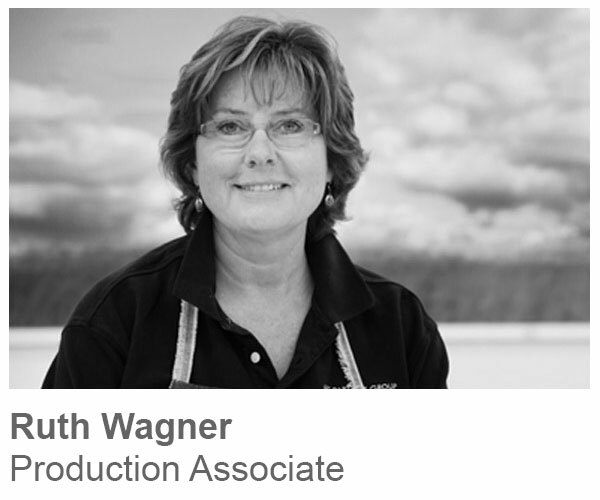 Since 1978, Ruth has been involved in all types of framing businesses from retail to commercial. 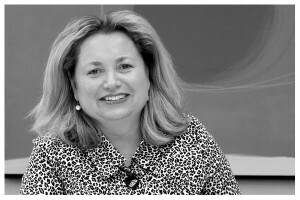 She has great experience in the field and is a key advisor to Art Partners Group and our clients on the best ways to handle artwork—from valuable textiles to a child’s one-of-a-kind finger painting. 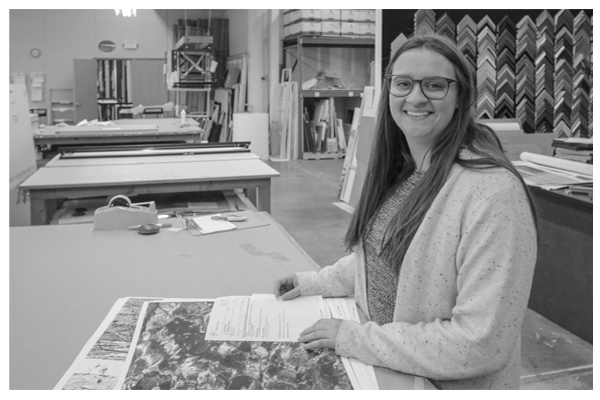 With over 30 years of experience, Ruth makes us feel confident we are giving our clients the best framing solutions possible. 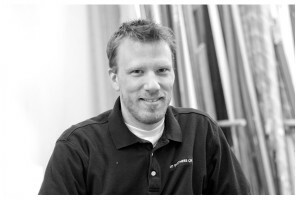 Since 2008, Ben has gained ample experience in custom framing, construction and spacial design consulting. 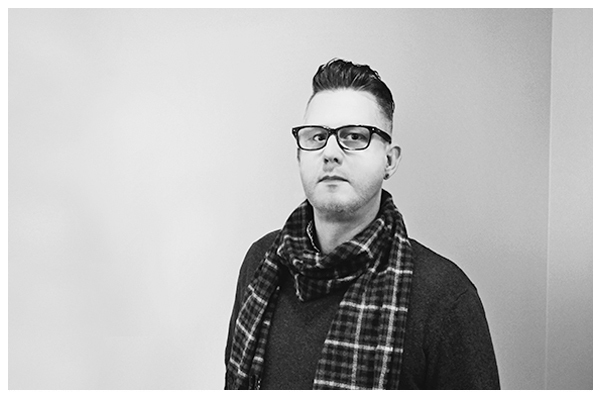 He has a passion for customer service and uses his knowledge of color, space and design in all aspects of his work. 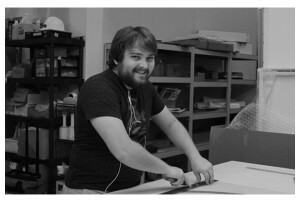 He is an active artist and holds a BFA from Iowa State University with an emphasis in painting and printmaking. 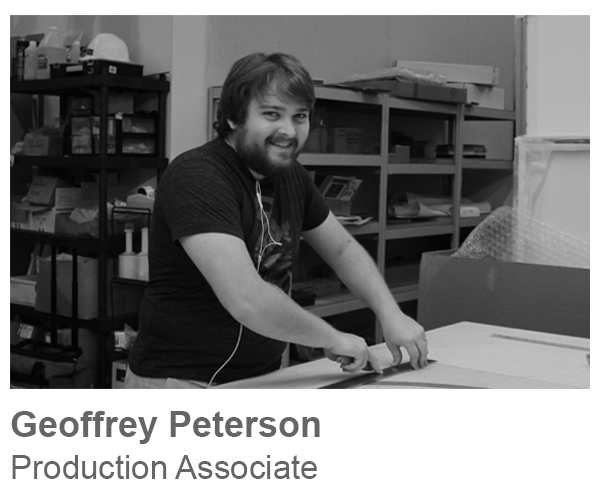 Geoff received a BA in Studio Art and Visual Communications from the University of Nebraska at Kearney. 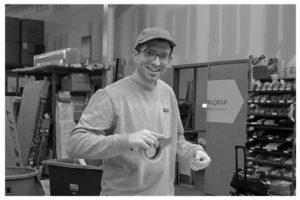 He has several years of experience in designing, printing and installing custom signage in a wide variety of mediums in addition to freelance work as a graphic and web designer. He takes pride in bringing the perspective of both an artist and a designer to every project he works on. Gerald has an enthusiasm for art and the art making process. He holds a B.A. in printmaking from MSUM in Moorhead, Minnesota. Since moving to the cities he has been consumed by remodeling his house, but has high hopes of spending more time in the studio. 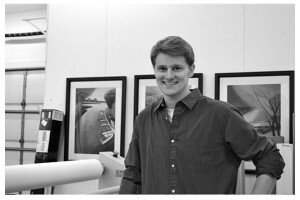 Ryan received a BFA in Painting from the Minneapolis College of Art & Design, as well as an AAS in Graphic Design from Minneapolis Community & Technical College. He has 10 years of experience with fine art, installation, and graphic design. 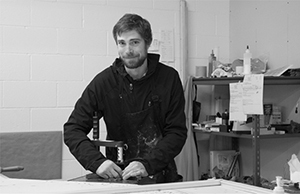 Ryan enjoys exploring the blurred boundaries between fine art and design, and continues to pursue his own studio practice as a painter. 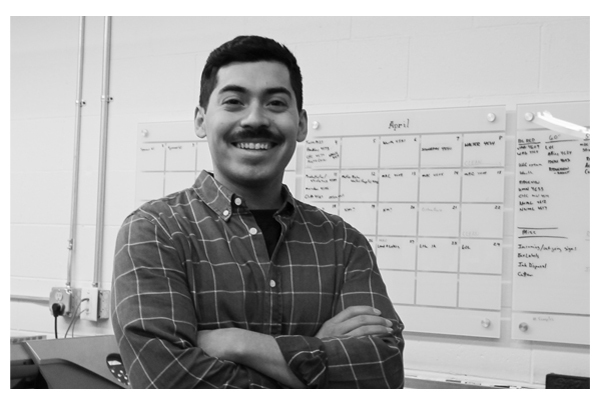 Julian has 8 years of experience in production art, gallery installation, art handling, and multiple artistic disciplines. He works on his own practice of painting, illustration, and screen-printing, trying to get into the studio as much as he can. Julian received a BFA in Graphic Design: Illustration from the Minneapolis College of Art and Design.